This sweet little cat pin will make a darling gift for a cat lover! 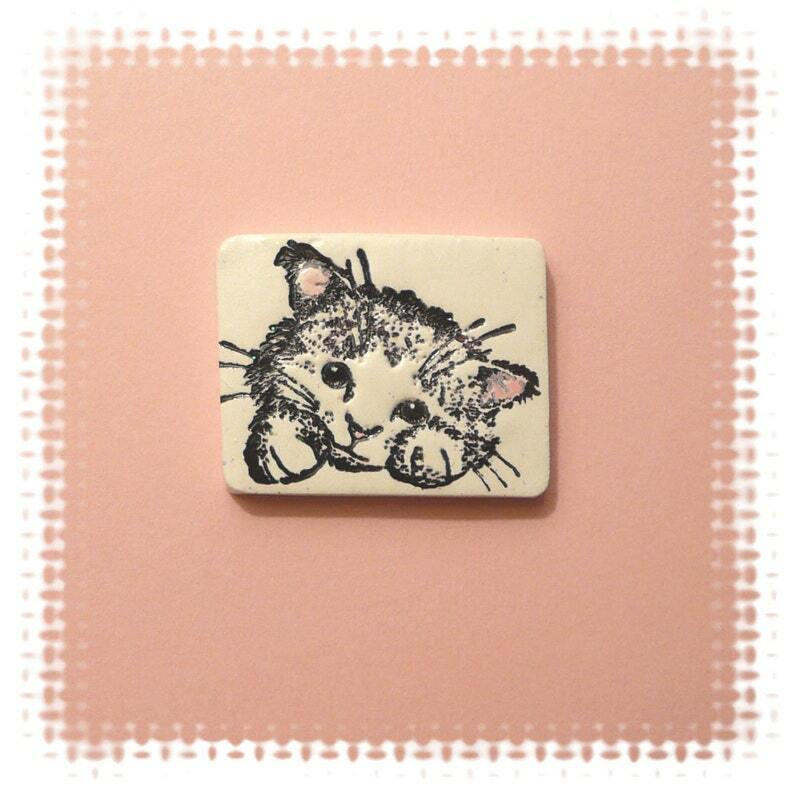 It features a kitten face and front paws - colors are white, black and pink. Wear on a jacket, sweater or shirt - or pin to a tote bag. Handmade of white polymer clay, stamped with black ink, with pink acrylic paint accents, and sealed with glossy acrylic varnish. Lightweight. Measures about 1" tall x 1 1/8" wide (2.5 x 3 cm). Finished with a pinback with safety clasp.